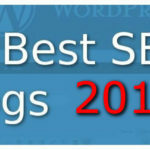 Here’s the 20 Best SEO Blogs 2019 has to offer, it’s my pick (updated for 2019). These blogs have helped me stay current and up-to-date with the latest in the fast-paced world of SEO and they are more relevant than ever. SEO is a fast-changing discipline. I can spend hours checking out the RSS feeds, Tweets, and Blogs to get what relevant, what’s trending, what’s changing, and what’s not. Getting good quality information from the right sources certainly gives SEOs a competitive edge in the game both professionally as a business and as the artist of their craft. 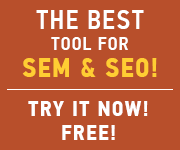 In addition to offering one of the best SEO site audit tools available, SEMRush also provides an insightful blog. Their guest authors discuss various topics on digital marketing, SEO, Social Media, and PPC, including industry news and updates. Moz is a household name among SEOs and theirs is inarguably among the best marketing blogs today. Recently they have published comprehensive step-by-step guides to website redesign, conversion optimization, and many more. Rand Fishkin, Moz’s co-founder and the “Wizard of Moz”, is a marketing guru who teaches a weekly “Whiteboard Friday” lesson on SEO, search engines, content creation, and many other topics. Search Engine Land is no doubt one of the leading daily publications today. They touch all aspects of the search marketing industry, including trends, feature announcements, and product changes. The site is led by Editor-In-Chief Matt McGee, who oversees the editorial team behind Search Engine Land and its sister publication, Marketing Land. Search Engine Watch is another leading source on everything about web search and search engine industry analysis. Their articles, written by a range of marketing professionals, feature tips, industry news, issues, and commentary. They also cover updates from Google, Bing, Yahoo, other major search engines and events. Search Engine Roundtable has succeeded in reporting some of the most interesting threads taking place at the SEM forums. The Roundtable doesn’t only report on these threads but also provide greater detail into those threads. One of its more notable authors is Barry Schwartz, founder of Search Engine Roundtable and news editor of Search Engine Land. Search Engine Journal features the latest trends, strategies, news, and personalities in the search marketing industry. All of their articles are contributed by both in-house and independent online marketing experts. The editorial process is headed by Kelsey Jones, who is also the main host for SEJ’s podcast, Marketing Nerds. SEO by the Sea is one of the most interesting full-fledged SEO blogs on the web. The blog touches on an array of different topics related to search optimization, from analytics all the way to web spam. Bill Swalski, author, president and founder of SEO by the Sea, has been engaged in professional SEO and internet marketing consulting for nearly two decades. As one of the leading SEO training providers, SEO Book has insightful things to say about SEO. Their blog offers relevant marketing tips, search analysis, and commentary on the evolution of the web from different perspectives. Seer Interactive is a very relevant and timely SEO blog. With frequent posts by Wil Reynolds and the team, it’s a must read. Seer are fueled by the desire to be the best digital marketing consultants helping clients and others along the way. Kaiserthesage.com is the Philippines’ premier SEO blog by Jason Acidre. Jason is a Digital Marketing Consultant based in Manila, and his blog has a strong focus on SEO, Link building, Web Analytics and Content Marketing Strategies. It features a vast array of documented knowledge covering topics Jason has tried and tested in SEO, content marketing and link building over the years. He knows what works and by subscribing to Kaiserthesage blog you can also get the benefit of Jason’s vast knowledge and experience. Ian Lurie and the team at Portent have a terrific blob with a lot of info wich you can redily use to update your own knowledge. There is alway something else about digital marketing that makes really think. Its a nice blog. Lost Press is a helpful resource for articles and product reviews related to marketing, business and management. Blog author David Iwano is a marketing guru and the director of the Lost Agency, a web analytics agency focused around SEO and SEM. Inbound.org is primarily a community of inbound marketers who come together to interact, share ideas, and develop some of the best marketing insights on the web. Their blog has interesting pieces that not only discuss the technical aspect, but also the personal side, of running an online marketing campaign. DEJAN Marketing offers data-driven ideas and insights into the fast-changing SEO landscape. Dan Petrovic, blog author and managing director of DEJAN, is a leading Australian SEO strategist, innovator and event speaker. Marketer’s Brain Trust is a useful resource for information on marketing strategies, as well as marketing campaign and business management. Dan Thies and Leslie Rohde, blog authors and company founders, have helped businesses learn and grow their online presence. The Backlinks blog provides game-changing tips and advice on link-building strategies, with a focus on content marketing optimization and link-building for specific niches. The Google Webmaster Central Blog blog is official source of news and announcements. Any of the Google products webmasters use to help with search may be posted about in the blog. It may be a change to the way some of the tools work, or perhaps a rectification of some data in GSC or Analytics. If we are lucky, we may even get some information about algorithm changes. It’s important to keep abreast of what is of changes in the Google Search realm, so subscribing to this blog is a must. Mike Blumenthal, author of the blog Understanding Google Maps & Local Search, offers fresh and unique insights into Local SEO tactics, news, and troubleshooting, especially for local business owners and local search companies. Yoast SEO lets you look into the different aspects and topics about SEO, Analytics, Conversion Rate Optimization, Social Media and WordPress. The bulk of their articles are written by Joost de Valk, CEO and founder of the company, who’s also an experienced WordPress developer. Like their products and services, Raven Tools runs a data-driven blog offering fresh insights, information, and industry ideas to marketers everywhere. I really wanted to list many more of the awesome SEO Blogs I read for you too. But you might say it’s already time consuming to stay up-to-date with all these SEO blogs I have listed as best picks for 2018. So how do you do Stay up-to-date with all this info? You can make sure you stay connected with their posts by subscribing to their RSS feeds, Twitter, Facebook, Newsletters, Google+, and whatever channels they are active on. Just try typing /feed on the end of the url so see their feeds, like petermeadit.com/feed and user your fav feed reader. SEO is a fast paced occupation, to it’s well worth staying informed. Amazing list & all blogs are very nice. Thanks for sharing such a wonderful list with us.Keep up the good job! Wow thanks for sharing such an informative SEO blog list with us.I appreciate it that SEO blogs do really help to increase skills. Thanks for your comment Brad. Yes it is hard to go past Yoast, agree with that. Great Melissa, SEMrush has done a lot over the years and worked really hard to help the SEO community. All I can say is: keep being awesome! 15 blog i am following currently. Let me go for other 5 blog. Anyway, keep it up, well done! An elaborate, nice and helpful list of SEO blogs and nicely presented too. Read some of these too. Great work again Peter. Thanks! Thank you for curating this. I also follow Distilled.net SEO blog for day to day updates. Thanks for coming up with great list of SEO blogs. I usually follow up some blogs that you have mentioned above which helped me to boost up my SEO skills. hello, thanks for sharing such an informative blog list. As all these list of SEO blogs really helpful in increasing knowledge. i follow searchengineland. To get updated with the changes happen in ranking pattern of Google or other search engine you may check here. If anyone wants to learn about online marketing then he can follow any blog here. Thank you for this informative blog. It is very useful for us and we will be sharing this on our social media feeds. The list you have provided is really informative and would be helpful for all those looking forward to starting with their own website because SEO is a must for every business to flourish. The list is though intact but there is one more name which you add to it: Backlinko. This is also an amazing platform to learn from. SEMRush is one of the best SEO site audit tools, i got more helps from this tool for preparing the site audit reports. Search engine land leads the daily publications today, which is interlinks to marketing industry, including trends, feature announcements, and product changes and also search engine watch is another leading source on web search and search engine industry analysis. Top of the search engines are Google, Yahoo, Bingo, Baidu, Yandex, i suggest you to refer this URL you can get the more benefits from this. Thank you for this useful information keep posting. A very decent list, glad to see some of my favourites are on there (Semrush, SEObythesea). I will now be checking out the ones mentioned that I have never heard of! Do you have any suggestion that is not on my list? Thanks for sharing this Peter. Really helpful for those who are doing seo. Thanks! I have good experience in digital marketing. And therefore I always visit to such blogs for more to know. Therefore I can say this is really a great article. I mostly follow Moz, Semrush, SEO book, Search Engine Journal and Yoast Blog etc. Thank you for sharing this article here I got more new such blogs beneficial to me. Waiting for another article like this. This Blog lists are really a helpful avenue to promote business and services which will help individuals and big companies grow more. Yes, SEO’s often encourage us to write ” latest engaging and relevant” content but where do we get this content from? Using microblogs from the best sources is key and the above list provides just that. Thanks for the info, its definitely been useful. Thanks for providing this list of SEO blogs. They are very useful while searching for new SEO strategies and techniques. Some of them I know but quite a few are new to me will check those out. Keep posting. I mostly follow SEO book, Moz, Semrush, Search Engine Journal and Yoast Blog etc. Thank you for sharing this great article. thanks for sharing this informative article blog list. keep writing this kind of blog list it will really helpful for us .. i am beginner so i do follow moz.com blog. but the blog list you shared is very helpful to increase SEO knowledge..
Well, these are some spectacular blogs where one can easily pick lots of new information regarding Search engine optimization and boost our skills. All of the above-mentioned resources provide qualitative informative in shape of articles and tutorials. My favorite SEO blogs are Semrush, MOZ, and Yoast SEO blog. Nice! Really helpful for those who are doing SEO strategies !! I usually follow up some SEO blogs that you have mentioned above which helped me to boost up my SEO skills!! !